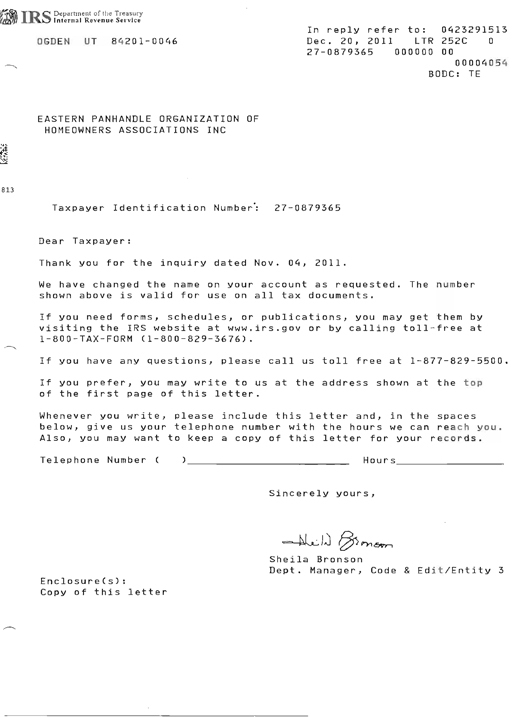 The official documents from 2009 through the current year that provide information about the Organization [previously JCOHOA & EPOHOA and currently WVOHOA] thereby establishing the West Virginia Organization of Homeowners Associations, Inc. formally registered within the state of West Virginia and the Internal Revenue Service of the United States of America. The legal document from WV Secretary of State, providing license to form and operate the Organization, and the amendments to change the name of the Organization. West Virginia State Tax Department – required registration to do business in the state of West Virginia.